The true story of a heroic man, Hunter "Patch" Adams, determined to become a medical doctor because he enjoys helping people. He ventured where no doctor had ventured before, using humour and pathos. Chris Nielsen dies in car crash one night, and then goes to Heaven. Later, his widow Annie commits suicide, unable to overcome her loss. Chris descends into Hell to save her. Sy Parrish: Am I talking to a brick wall? Did I tell you to touch her? If you touch her again; I stab you in the heart! I loved this movie. Romanek pays attention to the minute details often overlooked by most directors through the use of natural lighting, exceptional cinemaphotography that gives you a moment to take in the scenery and a soundtrack that doesn't force the viewer to keep fiddling with the volume. At 90 minutes in length, there is no pointless filler doesn't bore you and irrelevant side plots to push it to the 2-hour mark. It's a movie you can sit back and enjoy without feeling distracted by ridiculous special effects, jittery camera work or a disjointed plot. It has a peaceful, deep and thoughtful feel to the narration and dialog that is enhanced and complimented by the soundtrack. You can identify with the characters because they're not some Hollywood fantasy - but real and identifiable everyday people who react as you would expect everyday people to react. Robin Williams has proven that he's a versatile actor. 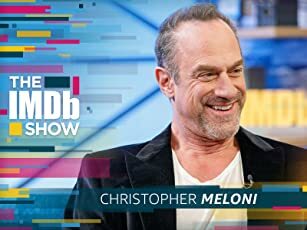 I've always liked his characters in comedies (i.e., Mork and Mindy, The Birdcage and Death to Smoochy) - however he really shines in more dramatic roles (Moscow on the Hudson and Awakenings). 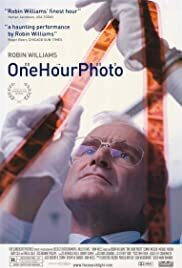 His character Sy in One Hour Photo takes him to the next level, but he's not the center of attraction. This is a good thing. Romanek gives the movie a sense of balance by giving characters depth and dimension. He makes sure that the perfect family that is the focus of Sy's obsession has problems just like everyone else in spite of their picture perfect affluent lifestyle. We see that while Sy succeeds at work with a warm, friendly disposition - his personal life is cold and lonely with his surroundings at home the same impersonal and sterile environment at work. Sy's character fits perfectly. Another bright spot in One Hour Photo was Dylan Smith, who played the son of the family that Sy is obsessed with. He's a natural actor who has the ability to play natural characters - an average kid who does a splendid job of acting as an average kid. Romanek doesn't insult the viewer by subjecting us to the stereotypical, annoying, mouthy, whiny, know-it-all kid with the bowl haircut that has ruined movie after movie. If I could change something - I would cast someone other than Gary Cole to play Sy's boss. Maybe it's the MST3K fan inside me saying this, but after seeing Office Space many times, I kept waiting for him to reincarnate the role of Bill Lumbergh in even the most subtle way, mmmm-kay?. 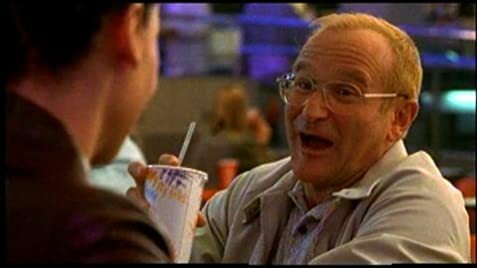 Romanek knew how not to cross the fine line that separated Cole's role as the sadistic boss in Office Space from boss in One Hour Photo. I give this movie a 9.5 out of 10.